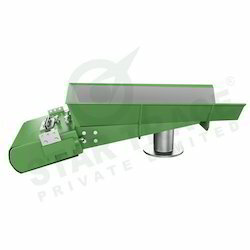 Prominent & Leading Manufacturer from Chennai, we offer electromechanical vibrating feeder. Owing to our in-depth domain expertise, we are providing a qualitative range of Electromechanical Vibrating Feeder. The sturdy structure of feeder produces a linear flow that does not allow vibration to reach till base. The structure is positioned below the feeder trough and electromagnetism is used to create the linear flow. It provides proper insulation to restrict the vibrations from reaching the base. Looking for Electromechanical Vibrating Feeder ?